Veterinary surgeon finds a lump in her neck. Boston takes it upon herself to ultrasound her own neck at home, a feat made possible because her husband is also a veterinarian. She is finally diagnosed with Thyroid cancer. Unless you are a dog lover this 300 page book is not for you. 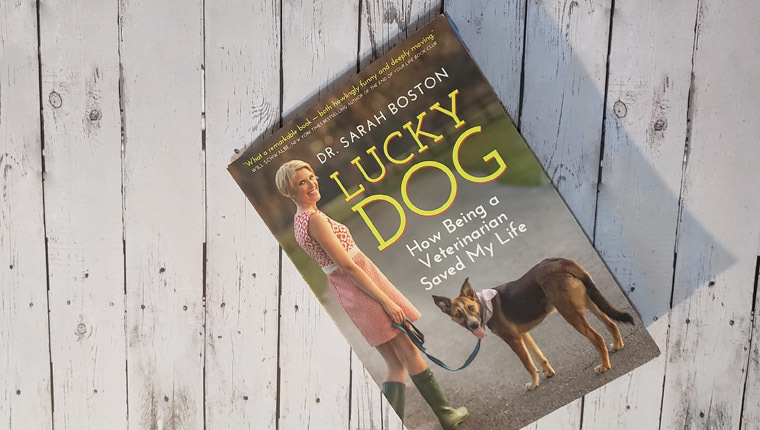 We here at DogTime were given the opportunity to review Lucky Dog: How Being a Veterinarian Saved My Life by veterinary oncologist Dr. Sarah Boston. As a lover of books and all things dog, I was fortunate to be able to read this book. Originally published back in 2014 by Anansi Press, it follows Boston as she is diagnosed, treated, and ultimately designated free of thyroid cancer. As readers share in her complicated journey, Boston parallels many of her experiences with those of her own veterinary patients. This makes for an interesting perspective on Boston’s own cancer journey and certainly gives an empathetic look into being a cancer patient, both human and canine. As a veterinary surgeon specializing in oncology (cancer surgery), Boston is very familiar with the signs of cancer. So one day, when she notices a lump forming in her neck, she does what anyone would do–see a doctor. Yet as Boston shares her concerns, the doctor feels disinclined to believe her despite her own medical background. As such, Boston takes it upon herself to ultrasound her own neck at home, a feat made possible because her husband is also a veterinarian. When they see the mass in her neck, Boston knows her suspicions are more or less confirmed. She returns to her doctor and eventually, over the course of months, she is finally diagnosed with Thyroid cancer. As Boston approaches different stages of her diagnosis, she shares with us stories from her own career as a veterinary oncologist. Many of these stories are interesting in their own way. They seem mostly there to provide some emotional respite for the reader, which given the content matter, is welcome. We’re already reading about cancer. Yes, please, give us some happy stories! Puppies and kittens are always appreciated. However, while many of these anecdotes start with hope, some end up having curveballs where the dogs or cats recover after their first surgery but return later when their owners have to put them down. This is usually due to aggressive relapses in their conditions, but not always. Understandably, I found myself feeling some of Boston’s sorrow at times. Her story conveys her frustration and sadness as she not only battles cancer, but also her own doctors. Having stories to distract from this helped me recover from those feelings at times. However, the stories of people losing their pets to cancer or accidents made it more difficult to balance my feelings while reading the book. I sometimes wish we’d been left with the knowledge that a pet was, at least initially, cured. I understand that’s not always how things work out in the real world, but I would have appreciated at least a few more happy endings. Perhaps these stories reflect Boston’s own fears and experiences. She knows what her patients go through and how their journeys end. So it makes sense that she parallels their stories with her own, even if they don’t end how I’d prefer them to. That said, this book isn’t meant to be a feel-good collection of happy pet tales. This story is a cancer memoir, after all, and it’s Boston’s personal, honest journey. She faces many challenges that most of us can only hope we never have to endure. As a reader, I wanted to know more about how Boston’s own knowledge and profession saved her life. This detail comes about in one to two chapters, but based on the memoir’s subtitle, I was hoping that more time would be dedicated to it. Instead, the book draws parallels between dogs’ and humans’–and to an extent, women’s–cancer treatment, and a pattern emerges. One chapter focuses on Boston’s experience as a cancer patient, while the next features anecdotes about either her peers or her own cancer patients. This is done with care so that you are never pulled out of the experience. Over time, I found this rhythm comforting. The chapters about Boston’s cancer experience left me sympathizing and feeling some of her heartache. So I looked forward to the dog stories, which provided a bit of welcome relief. It’s difficult to imagine the fear a cancer patient facing their own possible death must go through. It’s also difficult to imagine struggling with the guilt and emotions of being in a situation where someone else’s death or lack of treatment might benefit you. But I would’ve liked for Boston to spend more time on introspection so I could at least have a better grasp on this internal struggle. Does she wrestle with that guilt? Does she fear she’s acting selfishly, and does that add to her struggle? Or does that situation put survival ahead of the luxury of feeling those conflicting emotions? I would have liked more insight into that part of Boston’s journey. Bottom Line: Is This Book For You? At 298 pages this book doesn’t demand much of your time, but it definitely demanded a great deal of my emotional energy. Pet death, misogyny in healthcare, and cancer are very heavy topics in their own right, and this memoir covers all three. I thought, based on the synopsis, that the book would have a bigger humor element to offset these dark topics. However, I found the humor didn’t quite even out the frustrations and heartache I felt from the hardships Boston conveyed. If you are hoping that feel-good stories might contrast the stress of a cancer memoir, that’s not really what this book is for. As I already stated, some of the stories that focus on pets end in death, whether at the hands of cancer or outlying circumstances. A few of the stories have a lighter tone than the chapters about Boston’s experience, but they weren’t quite enough to bring me out of the sorrow that came from putting myself in Boston’s shoes or from reading about the pets who did not survive. That said, these heavy topics are worth discussing, and Boston’s story should encourage that discussion. 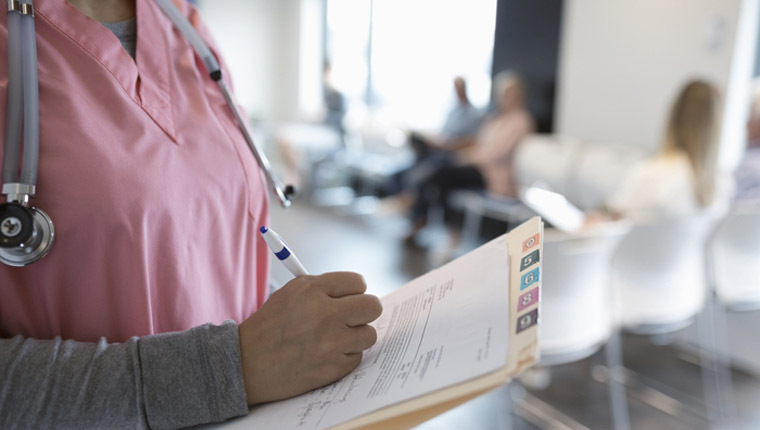 There are problems in the healthcare industry. There are problems that cancer patients face, and problems that pet owners face. All of these are important, and this book makes them very apparent. To that end, I would have appreciated a more in-depth focus on the issues women face when dealing with healthcare, such as the blatant misogyny Boston dealt with while knee deep in the Canadian medical system. She does mention her suspicions over it, but I would have liked more time dedicated to this thought process. I felt her frustration while reading about her experience, both for her sake and for the sake of other women who, frankly, might not have the resources and knowledge to advocate for themselves under such treatment. Boston’s education and circumstances allowed her to advocate for her own health. However, many women don’t have that advantage, and many die when medical professionals do not take them seriously. Her anecdotes about dogs showed how they are often better cared for as cancer patients than humans, especially women. I think many readers will find that to be quite eye-opening, and that’s important. If I could recommend this book to anyone, it would be to those who want to understand and discuss problems in the healthcare industry or those who want perspective on how veterinary oncology is performed. It might offer a budding future veterinarian some insight. It might also offer comfort to those who go through a frustrating cancer diagnosis and treatment to know they are not alone. And on a bigger level, discussing the problems that this book addresses can foster understanding. Hopefully, that can bring about positive change. No one should have to go through the hardships that Boston and other cancer patients face that go beyond simply having the disease. As you read, you will probably find yourself thinking, “This shouldn’t happen,” and you’re right to think that. Maybe if more people could understand these issues, more would empathize and work together to improve the way patients get care. And maybe, after reading Boston’s book, a few more of us will be better able to stand in solidarity with those dealing with a cancer diagnosis. Just make sure you have tissues and a good dog nearby when you read. A happy pup will give you some much-needed emotional backup.